JS-2 (Joseph Stalin) heavy tank with 12.7 mm DShK – a heavy machine gun. 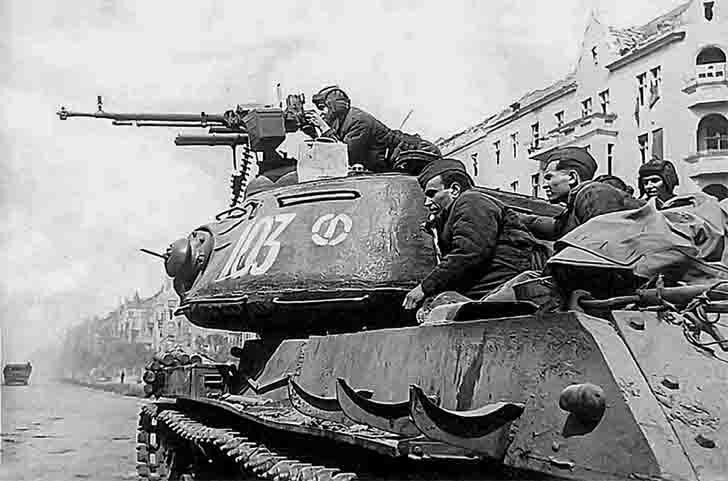 JS-2 (Object 240) – Soviet heavy tank during World War II. JS abbreviation means, “Joseph Stalin” – the official name of the serial release of Soviet heavy tanks from 1943-1953.